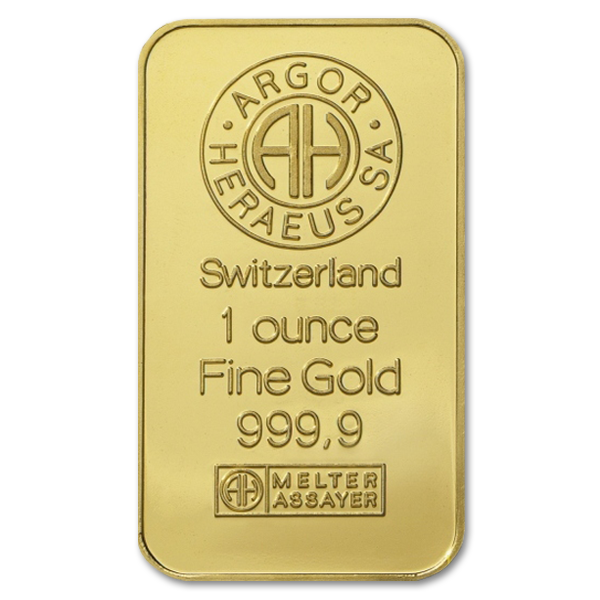 Here we have our Heimerle and Meule 50 gram gold bullion bar, one of our personal favorite ways to invest in precious metals. There is an air of distinction to owning a piece from so well-respected a refinery, the kind of thing that brings together the wisdom of gold investment with the appreciation of quality. 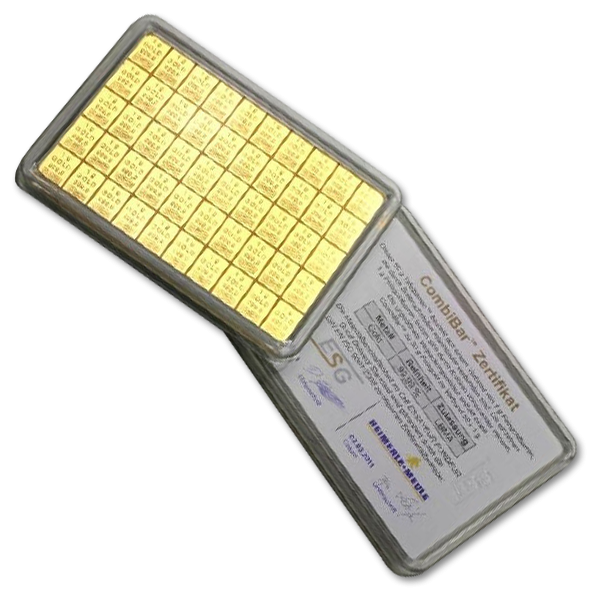 If you’re looking to expand your portfolio with a sizeable piece that is easy to liquidate should the need arise, this combibar of 50 1g pieces of pure gold bullion is the perfect addition. 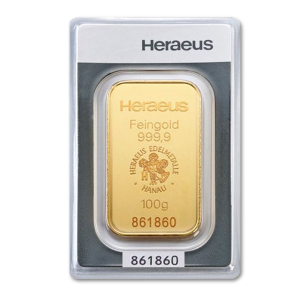 Here we have our Heimerle and Meule 50 gram gold bullion bar, one of our personal favorite ways to invest in precious metals. 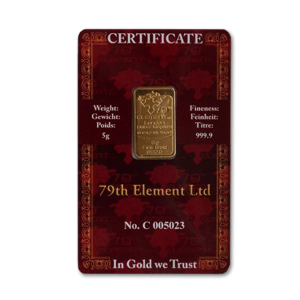 There is an air of distinction to owning a piece from so well-respected a refinery, the kind of thing that brings together the wisdom of gold investment with the appreciation of quality. 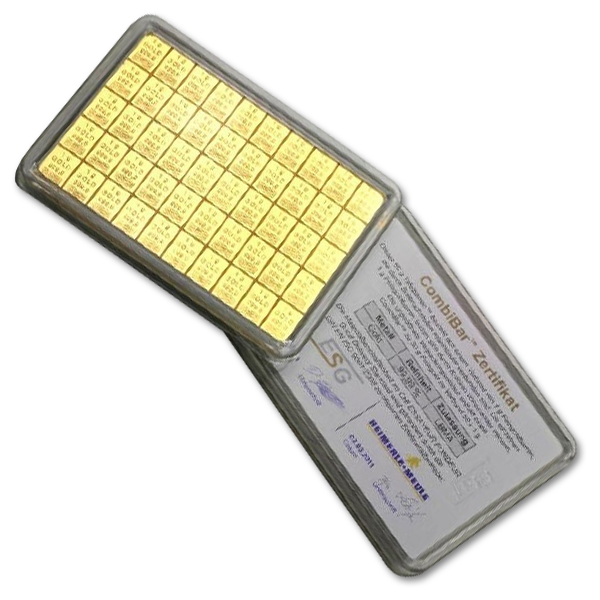 If you’re looking to expand your portfolio with a sizeable piece that is easy to liquidate should the need arise, this combibar of 50 1g pieces of pure gold bullion is the perfect addition. There’s a distinct sense of satisfaction when you hold the Heimerle and Meule 50g Combibar in your hand. There is the comforting weight of security in the 50 grams of gold that are in your hand, a knowledge that this piece you hold represents the security of your family and your future, and can be liquidated in part or whole quite easily. A serious consideration with gold investment that not many new investors think about, how easily can I turn this gold into currency in a market that won’t take it directly? Whether you’re looking to liquidate your gold bar with bitcoin or cash, you have to be able to move it quickly when the time comes. Small 1g blocks make that even more possible. Heimerle and Meule has been a leader in the precious metals industry for well over 170 years, renowned for its dependable quality and trustworthy dealings with customers for all that time. They were established in 1845 in Pforzheim, a city known to its inhabitants as ‘The Golden City’, and are one of the leading names is the investing world today. 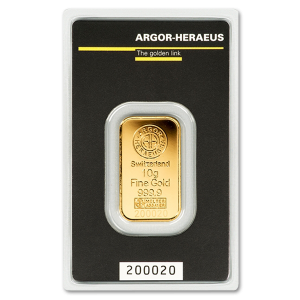 In addition to its investment ventures, they also provide their gold bullion to the dentistry, technology, and jewelry industries, a diversity that creates continuous and stable value that reinforces the respectability of their name. It’s time to expand your portfolio with a piece that will ensure both security in investment, and the ability to liquidate it quickly when the time comes. The Heimerle and Meule combibar is the perfect piece for both purposes, and it keeps your selection of movable gold diverse. Also, imagine the satisfaction of snapping off a piece of gold bar to settle your debts, a demonstration worthy of a King. That’s the beauty of a combibar.